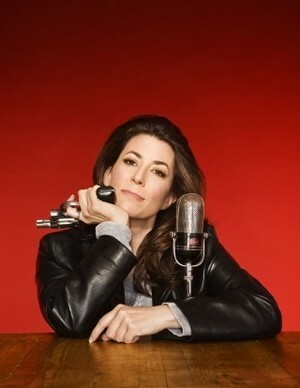 Tammy Bruce is a nationally-syndicated conservative talk radio show host. Bruce occupies a complicated position: she is pro-Second Amendment, pro-death penalty, and contributes to Fox News. Her official biography proudly proclaims her association with the Tea Party movement, and Slate called her "Sarah Palin's biggest fan." On the other hand, she is also a pro-choice lesbian who has claimed to be a progressive Democrat. She calls President Obama "Steve Urkel" because black people, amirite? During the late 1980s, Bruce was a feminist activist who embraced "a brand of feminism that places her somewhere between Donna Reed and Thelma and Louise." She also served as president of the Los Angeles chapter of the National Organization for Women (NOW). Bruce has written in defense of conservatism and "politically incorrect" thought. She once gave a speech titled "Contrary to Popular Belief: How Conservative Ideas Empower Women, Gays and Blacks." While promoting her 2003 book The Death of Right and Wrong: Exposing the Left's Assault on Our Culture and Values, Bruce continued to claim liberal credentials...albeit as a "classical liberal." She fills in for Laura Ingraham on occasion. ↑ Malone, Noreen. Sarah Palin's Biggest Fan. Slate: January 20, 2011. This page was last modified on 16 November 2018, at 22:41.